I have to eat more bacon? Really? Who wouldn’t want that? Okay, maybe vegetarians not so much. But I have it on good authority – my one vegan friend – that that bovine delicacy is the verboten food most missed. And here I am, immersed in it. 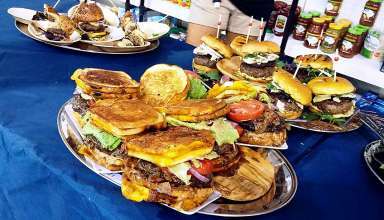 Engulfed by ten different, tantalizing bacon dishes which I’m supposed to judge as part of the 2018 International World Food Championships in Orange Beach, Alabama.